Combats infective and allergic ophthalmic disorders. 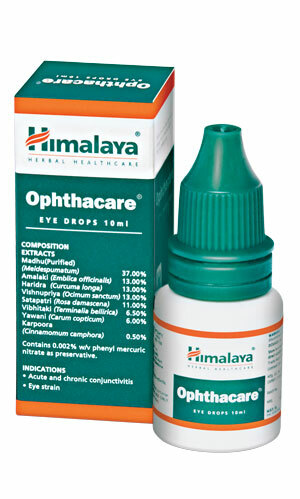 Helps to heal wounds quickly, protects ophthalmic tissue and its cooling effect alleviates eye irritation. Instill 1 to 2 drops (0.043 to 0.086 ml) of Ophthacare in the eyes three to four times a day. In acute infection, increase to five to six times a day. In acute conjunctivitis, use the eye drops every hour. Sterile container of 10 ml.